What's a Memorial Day Weekend without Diatomaceous Earth, Clay, or Perlite? More than likely, that crystal clear swimming pool you’re going to jump into has a diatomaceous earth (DE) filtration system, using swim pool filter powder from EP Minerals. Filtering with DE is what keeps that pool so clean and clear. And our new low dust CelaPool filter aid makes it even easier for pool pros to use DE for swim pool filtration. Mmmm. Can’t wait to take a dip in the pool. Whether it’s a MLB, Triple A or other minor league team when you’re watching baseball over the weekend, you're more than likely looking at one of EP Minerals’ Groundskeeper’s Choice infield conditioners or mound clay on the field. Our unique montmorillinite calcined clay makes up our PlayBall! Infield conditioner, drying agent and mound clay and our premium BallGame Changer with KT3 infield conditioner. Groundskeepers, players, and coaches alike love our baseball infield conditioner products. Whether it’s beer, wine, juice or soda that you’re drinking with your hamburgers and hot dogs, it’s probably been filtered with EP Minerals’ diatomaceous earth or perlite. EP Minerals supplies the world’s largest breweries, wineries, juice and soda manufacturers with the DE or perlite filter aid for your favorite drinks. It’s a great time to get your hands dirty in the garden and grow some healthy plants. EP Minerals’ Axis DE or Axis Clay are the #1 soil amendments. Used in landscaping, rooftop gardening, golf courses, hydroponics, home lawns and gardens, these diatomaceous earth and clay soil amendments keep the nutrients and water in the soil and promote healthier root growth. We all love to be outside over Memorial weekend, but the bugs like it too. Use bug spray on you, and use EP Minerals’ organic insecticide DEsect around the house, ranch and farm, on your dogs and cats and on your livestock and chickens. 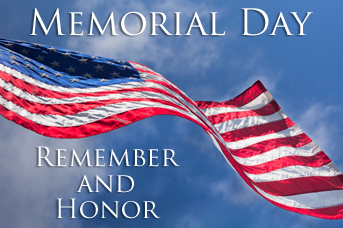 Have a Happy Memorial Day weekend from EP Minerals! To learn more about any of our minerals and what they do, visit our minerals page.